Michelle Wahlgren asked me to create, develop and customize an eCommerce website using Worpress and Woocommerce. 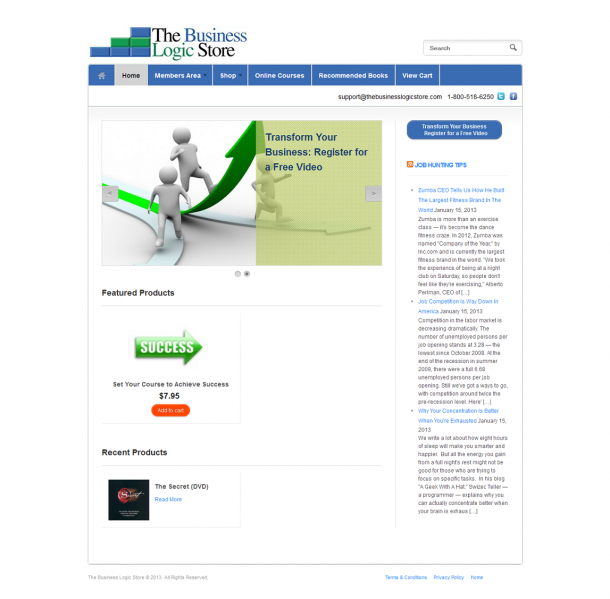 Here it is: The Business Logic Store. 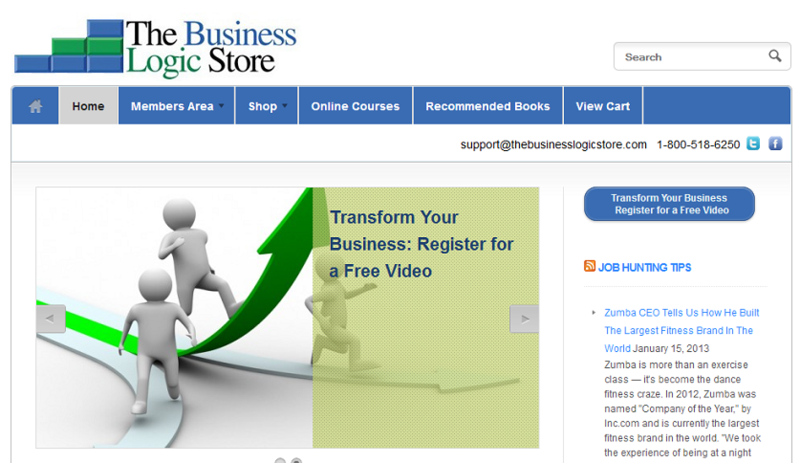 Note, Nov. 10, 2014: Someone has made changes to the images on thebusinesslogicstore.com. It looks like they let the WordPress plugins automatically resize/enlarge small photos, resulting in blurriness. Never enlarge small images. You can avoid blurriness by using correctly sized images or by letting your web software reduce large images. In other words, start with large images and reduce their sizes as needed.